A private beachfront house designed by Olson Kundig Architects principal Tom Kundig is redefining the concept of indoor-outdoor living with an extremely adaptable structure. 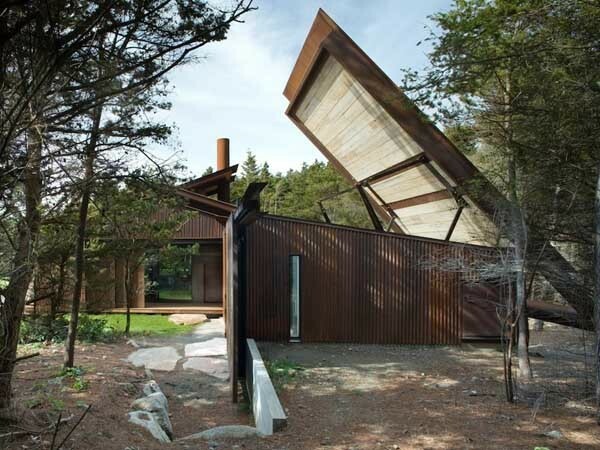 Shadowboxx, a private home in the San Juan Islands, off the coast of Washington features shifting shutters, walls and doors, allowing the entire house to be transformed into a sleeping porch if required. A major design highlight is the bathhouse featuring a roof that opens like a hatbox. A time-lapse video released by Olson Kundig demonstrates the idea of indoor-outdoor living being taken to its logical and mechanical extremes by Kundig. The video, directed by Kevin Scott of Röllerhaus Pictureworks and Design Co and scored by Seattle-based composer Joshua Kohl, documents a day in the life of the house and illustrates its many possible configurations against a backdrop of gloriously varied light conditions. The project, which was completed in 2010, was filmed over the course of 24 hours, shifting focus from the building’s architecture to the changing landscape in the background.